Description: 16" Art B Bowl in ColorglassTM Clear Coat with countertop and apron. Bases excluded. 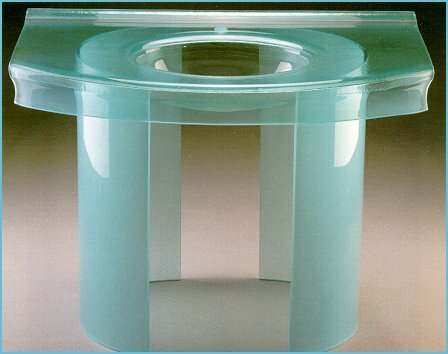 Glass Bases - Height 30" , 32"